Enigmatic, flashy and prone to overt displays of bravado, “The Notorious” Conor McGregor is a mixed martial artist that transcended the sport’s octagonal confines to become a global sensation. Boasting pay-per-view buy rates that eclipsed Brock Lesnar, GSP and Ronda Rousey, the brash Irishman has taken the formerly outlawed sport to unforeseen levels of mainstream appeal but only a fraction of his popularity is derived from admiration for his fluid movement and devastating knockout power. If he’d maintained the solemn respect for his opponents that traditional martial arts doctrines are built on, the former two-division champ from Crumlin wouldn’t be a household name but another one of the UFC’s litany of champions that peaked as a niche concern at best. McGregor's whirlwind rise from anonymity was ignited by a boisterous demeanour that updated the showmanship of boxers such as Muhammad Ali, Pernell Whittaker or Prince Naseem for the hip-hop generation. It’s all there, from the use of his namesake The Notorious B.I.G’s “Hypnotize” as his walkout song or his penchant for high-end fashion brands to the remorseless trash talk that belittles his opponents and recalls the aural brutality of fearsome diss track punchlines. “I mean, how could you say that, when, look at me for f**k sake. I'm coming out rapping bleeding Biggie. I'm shouting, giving him respect. You know what I mean? I'm a big fan of the s**t. I am a big fan of the culture. You know what I mean? Like I said, he asked me what my playlist is. All I listen to is rap." Far from a facile gesture, Conor attested to his love for hip-hop when he made his pre-UFC 229 playlist public. Split between deep cuts and commercial smashes, his repertoire featured The LOX, Clipse, Biggie, YG, Wu-Tang Clan, Busta Rhymes and even B.G.’s oft-forgotten Cash Money classic “Bling Bling” among other tracks that went beyond the realm of the casual fan. Inspired by its rags-to-riches tales, it’s clear that hip-hop played an integral role in formulating the controversy-courting star that we know today. However, what’s went glaringly unexamined is the question of which MC is his closest counterpart in terms of style, determination and temperament. Loved and loathed in equal measure, his hubristic self-assurance and displays of exorbitant wealth are taken directly from the hip-hop playbook. At 30 years of age, Conor is a product of the late 90 and early 2000s where ‘stuntin’ was placed at a high premium in the genre. In this sense, his outlook mirrors that of any number of rappers throughout history but his desire to diversify his portfolio takes him up another rung of hip-hop’s hierarchy and into mogul territory. 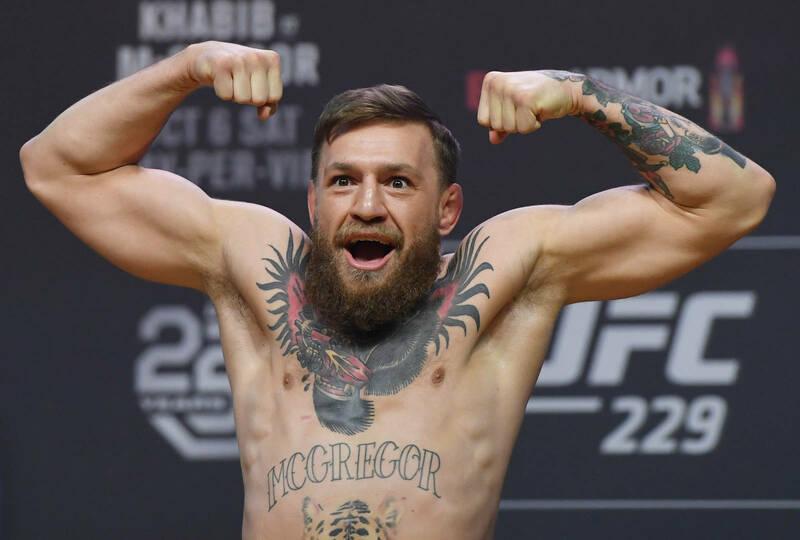 Just like Diddy, Hov, Dame Dash and Nicki Minaj to name a few, Conor’s business ventures outside of the Octagon have seen him make a successful foray into the lucrative world of liquor. Concocted at the oldest distillery in his native Ireland, McGregor’s “Proper No. Twelve” Whiskey has become a fitting extension of his brand and is widely sought after all around the world. As seen during Boston’s St Patrick’s Day parade, the beverage is now synonymous with McGregor and there’s sure to be a demand for it as long as he remains in the public eye. Yet despite the commonality in their drinks industry successes, McGregor remains a more brash entity than entrepreneurs such as Jay or Puff. While their proprietorship came hand-in-hand with the development of a more demure, level-headed approach to public relations. McGregor’s business triumphs have been offset by numerous run-ins with the law and a refusal to curtail the abrasiveness that brought him superstardom. In this respect, the artist that he bears the most resemblance to is the very same man that he’s engaged in a battle of wits with over the past few years. Formerly aligned with Vitamin Water and Effen Vodka before unveiling his “winners only” champagne Le Chemin Du Roi, Curtis ’50 Cent’ Jackson shares common ground with Conor McGregor in his complete distaste for airs and graces. 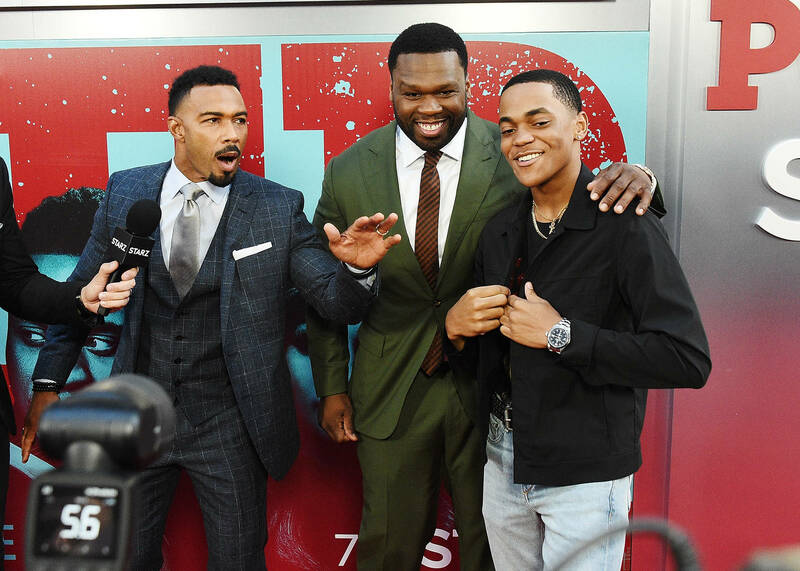 Although he once commanded a net worth of almost half a billion dollars, 50 Cent had to claw himself back from the brink of bankruptcy and yet his actions remain as unfiltered as ever. From ‘inadvertently’ earning millions on cryptocurrency at its embryonic stages to his ongoing dispute with Teairra Mari, 50’s every utterance remains newsworthy due to his refreshing lack of veneer. While he’d be justified in riding off into the sunset by now, Fif stays in the spotlight and refuses to defang himself from those early days as an aspiring rapper from Jamaica, Queens. Tasked with the stewardship of his G Unity Foundation and SMS Audio, these corporate entanglements have never stopped Jackson from exhibiting the same protective layer of grit that shook the foundations of hip-hop on "How To Rob." As an unambiguous statement of intent, it set the stage for 50 to take the industry by storm and he’s refused to relinquish that me-against-the-world mentality even after Dr. Dre & Eminem took them under his wing. Embroiled in intense feuds with Ja Rule, Fat Joe, Rick Ross and former stablemates The Game and Young Buck, his willingness to engage in a war of words mirrors Conor’s propensity to take on all comers in a verbal exchange. A staple of his press conferences or interviews, Conor’s flagrant disrespect of any and all opponents that are put in front of him resembles 50’s readiness to take to Instagram and ridicule anyone that gains his ire. In fact, they’ve even shared a common nemesis, at times, in 50’s infamous frenemy Floyd Mayweather. Rather than simply rebuffing their adversaries and putting it behind them, Conor and 50 coalesce on a tendency to hold a grudge and take things to a heightened level of volatility. Where Conor hopped on a private jet just to accost Khabib, 50 reportedly purchased the first four rows at a Ja Rule show just to assert his dominance over his foe. Whilst The Notorious one lobbies for the rubber match in his trilogy with Nate Diaz at every opportunity, Jackson unloaded on Rick Ross whilst the Telfon Don lay incapacitated in the hospital. Content to steer into the stampede of controversy rather than avert it, both of these self-made millionaires are rare case studies where money hasn’t softened their more rugged edges. Even if it’s been to their detriment at times, their refusal to change tact or atone for their indiscretions are a crucial ingredient in their allures. In most scenarios, this sort of reluctance to toe the line or gentrify themselves would reduce their marketability or make them persona non grata for endorsements. Yet for Conor and 50, their brashness is one of their main selling points and resulted in both men netting Burger King advertisement deals within a year of one another. Although their prospects in the arenas that first granted them fame and fortune sit at a crossroads, both men’s positions in the public eye seem fortified due to their innate charisma and routinely newsworthy tirades. Flaunting a belt on each shoulder, one of Conor McGregor’s most enduring quotes came at the apex of his in-ring career. As Eddie Alvarez recovered from a near-dismissive dispatching in Madison Square Garden, the Irishman grabbed the mic from Joe Rogan’s typically vicelike grip and proclaimed that "I’d like to take this chance to apologize… to absolutely nobody!" Barring an unfortunate incident with an autistic airport worker, it’s a rhetoric that summarises 50 Cent’s journey through the murky world of hip-hop. Far from being oil and water, the differences between 50 and McGregor arise from their equivalent levels of bravado and abject unwillingness to concede to one another. No matter how many times they trade barbs online, the two are kindred spirits and are interlinked by their refusal to change for anyone or anything.